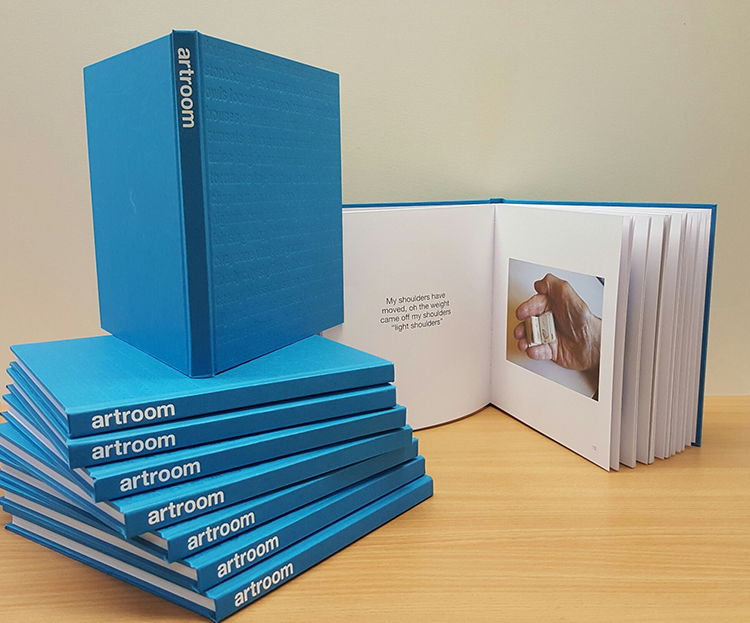 Artroom is a patient-centred project facilitated by professional artists and writers. The ethos of Artroom is that every patient has the potential to be an artist and/or writer in their own right. The project practitioners draw on many years worth of developed skill and experience to ensure the art and writing sessions are accessible to all participants, contributing to the improvement of quality of life for patients in day unit and in-patient ward care. Creativity is encouraged using a range of professional materials including an extensive collection of art books. Patients have the opportunity to explore and experiment with techniques and practices such as mark making, drawing, painting, printmaking and photography. The writer at Roxburghe House facilitates a range of creative writing practices that include life writing – from cookbooks to memoirs – and fiction writing – both prose and poetry. Patients also have the opportunity to create beautiful hardcover books in any genre they choose. Artroom supports individual creativity and art and writing sessions take place in either a shared studio environment or one-to-one. A book featuring writing and artwork produced in Artroom can be purchased for £10 from the GHAT shop or accessed online.